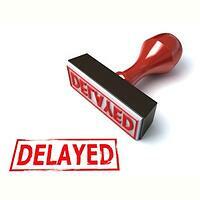 On July 7th, CMS released the final rule to officially delay the Home Health Conditions of Participation (CoPs). Items that had a July 13, 2017 implementation date are now delayed until January 13, 2018. Finalized the revised July 13, 2018 phase-in date for performance improvement projects. All other QAPI requirements are effective on January 13, 2018. “Grandfathered” personnel requirements for current administrators employed by home health agencies by January 13, 2018. These administrators will not have to meet the new personnel requirements in the CoPs final rule. The new education and training requirements will have to be met by administrators who start their employment on or after January 13, 2018. CMS said it will publish a final version of the Interpretive Guidelines in December 2017. A new email box has been established for questions about the new CoPs at NewHHACoPs@cms.hhs.gov to assist in gathering questions and requests for clarification.